Do you want solid proof that paid government shills are targeting websites, blogs, forums and social media accounts? 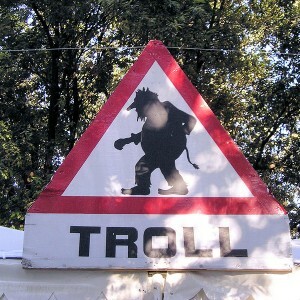 For years, many have suspected that government trolls have been systematically causing havoc all over the Internet, but proving it has been difficult. But now thanks to documents leaked by Edward Snowden and revealed by Glenn Greenwald, we finally have hard evidence that western governments have been doing this. As you will see below, a UK intelligence outfit known as the Government Communications Headquarters, through a previously secret unit known as the Joint Threat Research Intelligence Group, has been systematically attempting “to control, infiltrate, manipulate, and warp online discourse”. This should be deeply disturbing to anyone that values free speech on the Internet. This entry was posted on April 11, 2014 by Amir Alwani. It was filed under Canada, censorship, internet, news, tyranny, UK, US and was tagged with trolls.